If you’ve been following the blog you know I love handmade wedding products. It takes a lot of talent and dedication to make something by hand and the result is truly unique. 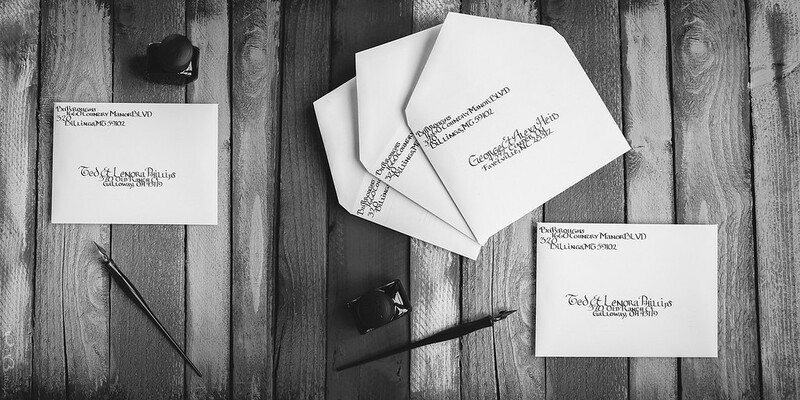 Rachel and Austin’s handwritten invitation envelopes from Inked N Calligraphy turned out gorgeous and added a unique touch that you just don’t see very often anymore.